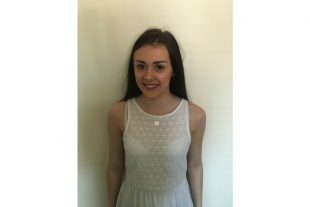 Hi, I’m Rebecca Newbegin, I joined the Civil Service in January 2016 as part of the Level 4 Business Administration Fast Track Apprenticeship Scheme. I work for HMRC in The Resource Management Team that is part of Change Portfolio Group within Transformation. Previously to this I went to a small school in Hartlepool called High Tunstall College of Science, when completing my GSCE’s I went straight to college. I studied Physical Education, Business, History and Science at Hartlepool Sixth Form College. I knew that university would not appeal to me because of the cost and I heard too many stories of people spending years at university and not being able to get a job at the end of their degree and I soon released that I had no idea what I wanted to do with my career. I was worried that I was too young to decide what I wanted to do for the rest of my life so I started looking around for apprenticeships. I came across the Fast Track Apprenticeship Scheme on the Apprenticeship.Gov Website. The application process was fairly easy and within a month or so I found out I had been selected for an interview. I was so excited but really nervous at the same time, so nervous that I wasn’t even going to go to the assessment centre. In the end I went, each part of the day was explained and it was straight forward but challenging at the same time. When I found out that I was successful I left college in my second year to take up a job within HMRC. On my first day, I had no idea what to expect, to be honest I thought I would be treated differently with me being an apprentice however I thought wrong. I joined my team and on day one I felt like any other employee within the department. My job entails processing internet and external recruitment for a growing area within HMRC. Being an apprentice means that you are encouraged to get involved with all opportunities to help your development. I would definitely recommend that you apply for the Fast Track Scheme not only because of the opportunities but the qualification itself is recognised throughout the country. The best part about the apprenticeship is that if you pass the apprenticeship qualification it secures you a job and career as a Civil Servant. One of the areas I like the most about the Civil Service is the flexible working hours that helps to give you a good work-life balance. When you come into work, you never know what to expect, no two days are the same and this motivates me further. I am due to complete my apprenticeship in July 2017. I haven’t quite decided what I plan to do on completion of the apprenticeship however I know my career will be within the Civil Service.